Robert G. Sellers, Esq. 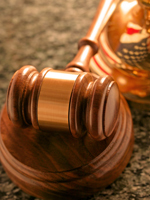 is a licensed attorney in Pennsylvania and New Jersey. He specializes in criminal defense. Robert earned his Juris Doctor from Villanova University School of Law. During law school, Robert served as Managing Editor of the Villanova Environmental Law Journal. Before attending Villanova, Robert graduated from Temple University where he earned a Bachelor of Arts in Political Science and minored in Psychology and Criminal Justice.